Dark night skies the Sierra Nevada make for some of California’s best stargazing. With the Perseid meteor showers peaking in just a couple of weeks, I’ve been wanting to plan a trek far from the city to watch the show and view the stars and planets in all of their brilliance. 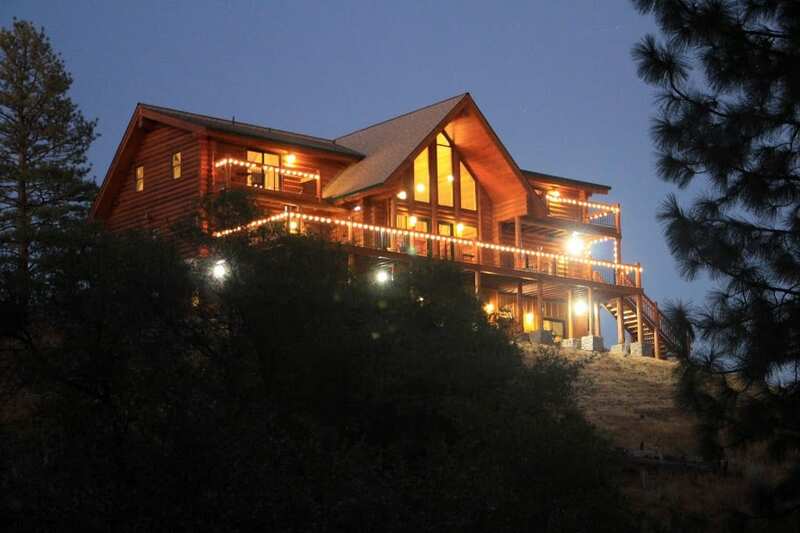 Below is a list of some of the most remote B&Bs in the Sierras and the Sierra Foothills with outstanding stargazing opportunities. The Perseid meteor showers will run through August 24, but the best viewing nights are expected to be August 11-13. The first amateur astronomical observatory in California was founded deep in the Sierra Foothills in 1860. Over 150 years later, the small Gold Country town of Volcano remains an ideal spot for stargazing. With a population of just 103, the town is located at an elevation of 2,000 feet and has no street lighting. Guests of the historic, four-room Volcano Union Inn can watch the night skies from the inn’s upstairs balcony after dinner or take a stroll up to the cemetery overlooking town to find locals charting constellations. During the summer months in Volcano, the stars seem so close it feels as if you reach out and touch them. On the edge of the Stanislaus National Forest near Twain Harte, the night skies at the McCaffrey House Bed & Breakfast get very, very dark. At an elevation of 4,000 feet, the charming, three-story mountain lodge is nestled in a quiet forest hollow and offers a clear views overhead from its driveway, deck, and guest room balconies. Just up the road from the inn at Bald Mountain Heliport, stargazers will sometimes bring blankets to lie on the ground to watch the skies. Another spot to enjoy expansive nighttime views is the parking lot of the nearby Dodge Ridge Ski Resort. 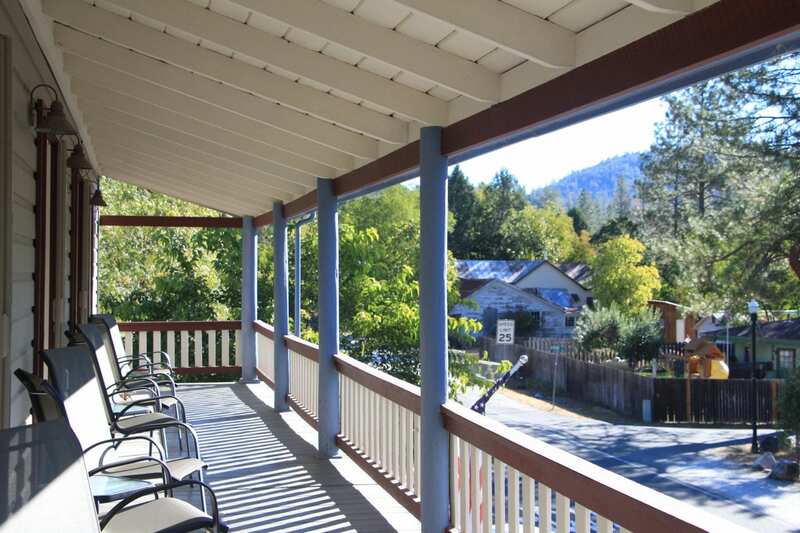 Just outside of Murphys, Courtwood Inn is a grand log lodge that sits on a five-acre hilltop with commanding views of the Sierra Foothills and unobstructed views of the skies overhead. A 2,500 square-foot deck wraps the entire length of the lodge, offering a perfect perch for not only watching sunsets but also the stars at night. Not far from the inn, Calaveras Big Trees State Park hosts Astronomy Nights from July to October each year. At a scenic overlook inside the park, docents provide telescopes and binoculars for viewing the night skies. A new webcam for one of the telescopes displays real-time images on a 40-inch screen. Tucked among acres of rolling vineyards deep in the Shenandoah Valley, the four-room Amador Harvest Inn presides over an expansive lawn and a shimmering lake. 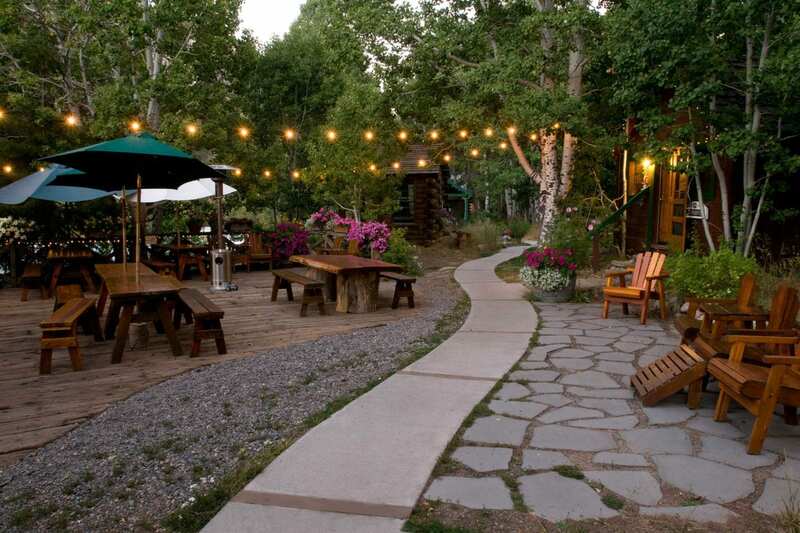 Once the inn’s wine tasting room has closed up for the night, the loudest sound you’ll hear at this charming country inn are a chorus of frogs and the occasional popping of a wine cork. Far from any street lights, the stars shine in all their brilliance against the dark skies. 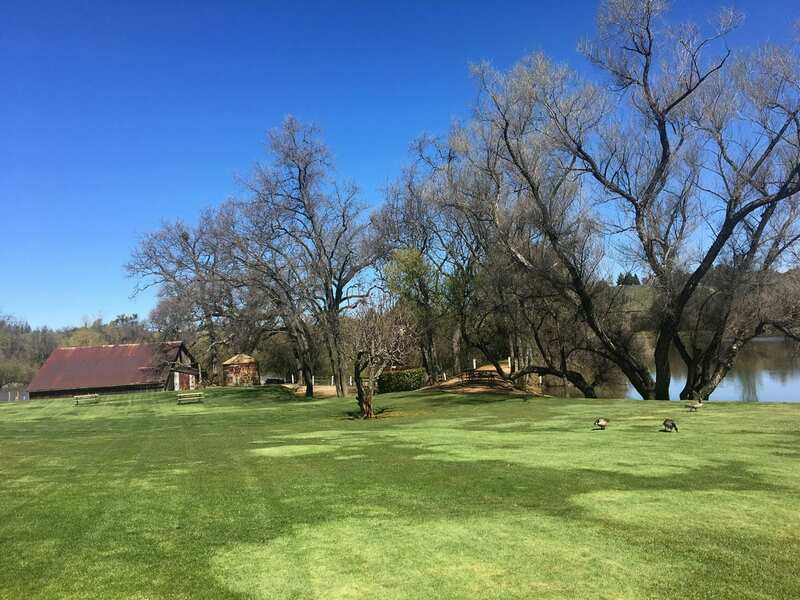 Spread a blanket on the lawn by the edge of the lake and enjoy a glass of Amador County Zinfandel while watching the stars overhead. 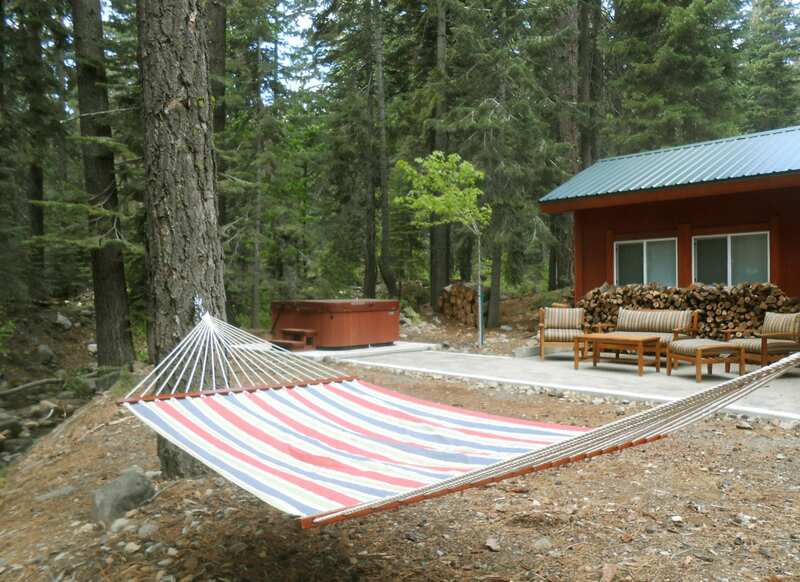 High in the Sierra, Donner Lake Inn offers prime stargazing from its hammock and hot tub nestled among the pines. 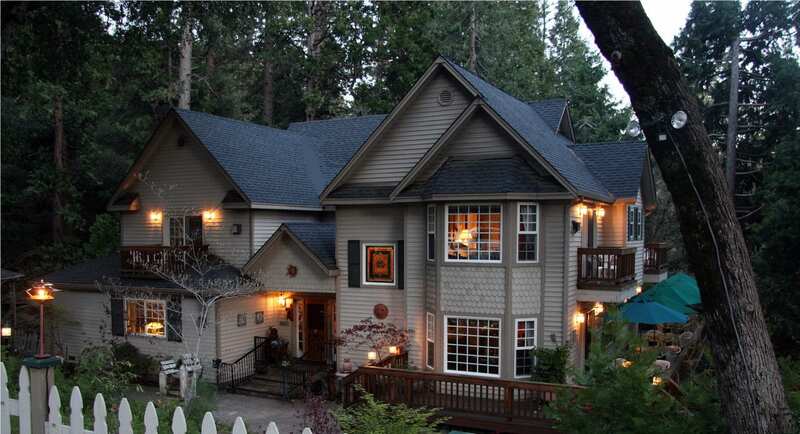 The inn is located at the west end of Donner Lake, far from the lights of town, and provides clear views of the night sky. The inn is also a short drive to Northstar’s Dark Skies Cosmoarium which hosts Tahoe Star Tours every Thursday through Saturday in the summer through September 1. Guests can gather for a celestial mix of science and poetry and then have the opportunity to observe the stars and planets through high-powered Celestron telescopes. Hot chocolate, coffee, blankets and s’mores are provided. 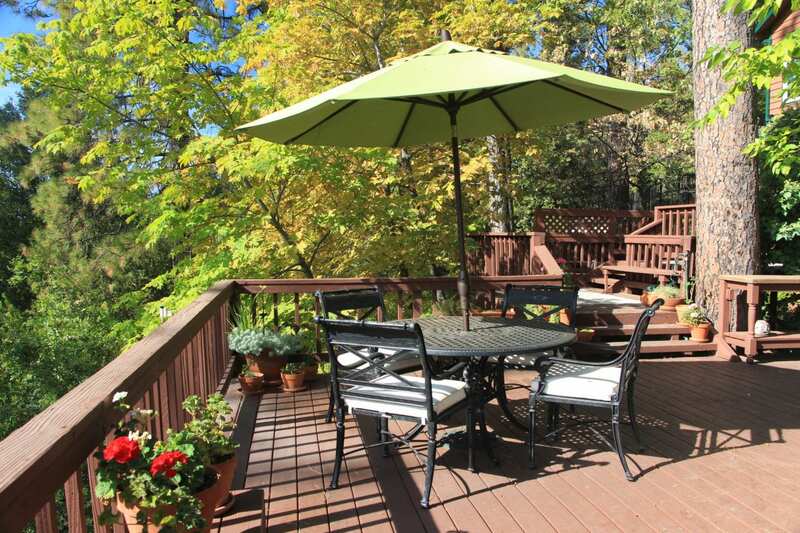 Nestled in a little-known region of the Sierra Foothills between the Middle and South Forks of the American River, The Green Toad Bed & Breakfast is surrounded by nature in every direction. The inn sits on 40 acres of private forested land, surrounded by 80 acres of protected government land, and is adjacent to 90 acres of the privately-owned North Star Tree Farm. The remoteness of the inn ensures dark night skies and the inn’s 3,000 square feet of multi-tiered decking provides an ideal perch for stargazing. On chilly nights, you can even stay warm by taking in the night skies from the deck’s hot tub. At 7,000 feet, the 165-acre Sorensen’s Resort in Hope Valley is an amazing destination for stargazing south of Lake Tahoe. Each year, the resort hosts an evening with San Francisco State University Physics and Astronomy Professors Adrienne Cool and Ron Marzke for learning about recent discoveries in astronomy and searching the night skies for constellations. Guests of all ages are invited to peer through telescopes and binoculars to view the moons of Jupiter, rings of Saturn, the Milky Way and beyond. The evening includes cookies and hot cocoa. A $10 per person donation is suggested; the donations are matched by the resort to benefit Alpine County school science programs.